Happy Saturday, dear readers! I hope you have had a wonderful start to your weekend! 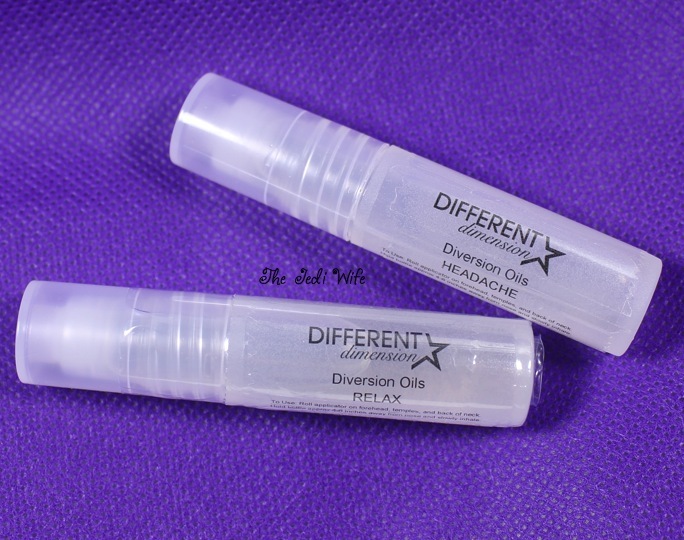 For today's blog post, I wanted to share with you the new Diversion Oils and Cuticle Oil Pen being released tomorrow by Missi of DIFFERENT dimension. I am not a fan of taking over the counter medicines unless absolutely necessary, so I was thrilled to see that Missi decided to bring aromatherapy to the nail world via these Diversion Oils. 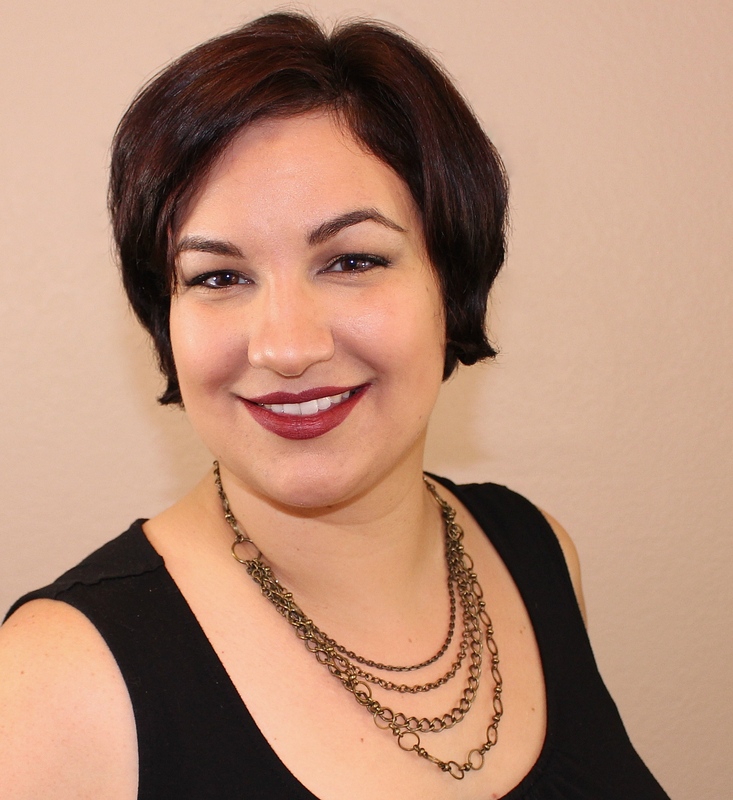 Containing oils and fragrance, I don't have to worry about the negative side effects that are sadly far too common in mediations. 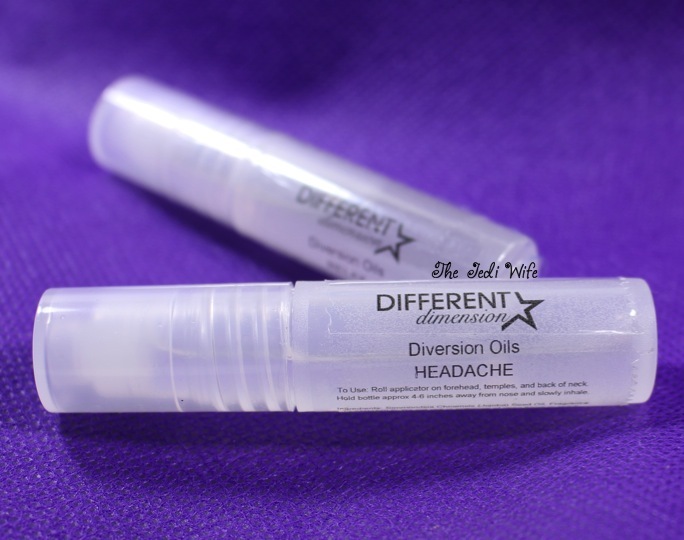 You simply roll the applicator on your forehead, temples, and back of the neck and breathe in the healing aroma. 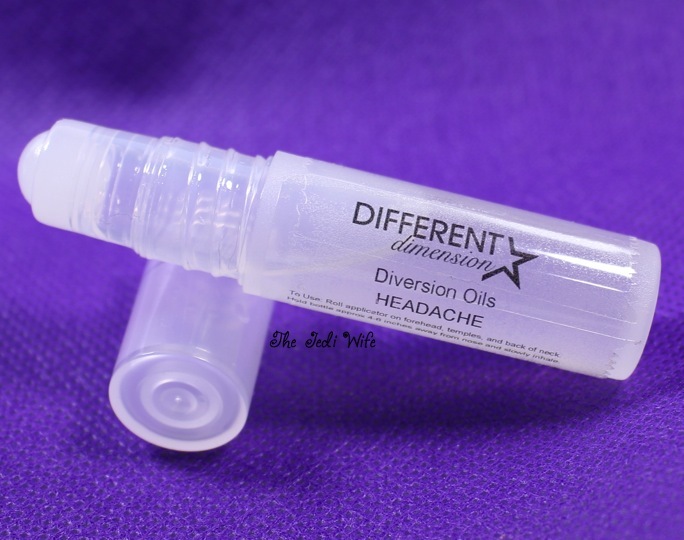 My Headache Diversion Oil has been getting the most use. I have been getting such terrible stress headaches recently, and this particular Diversion Oil is never far away. It is strongly scented, and this smell really makes my headaches go away quickly. After several days of headaches, I thought I should start treating the route of the problem: my stress. My head has gone into overdrive recently, and it had become difficult for me to relax. I decided to give the Relax Diversion Oil a try, and it does help quite a bit. The fragrance just adds that little extra something that can help me relax better than deep breathing exercises alone. 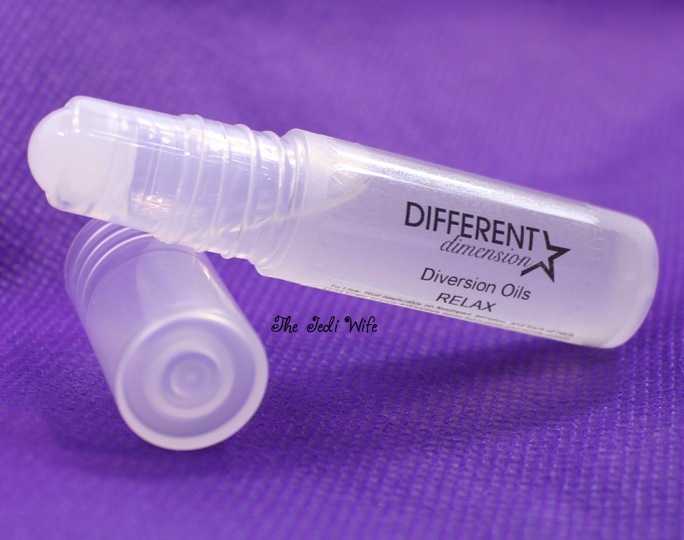 In addition to Diversion Oils, DIFFERENT dimension is releasing cuticle oil. I've been using this Jolly Rancher scented pen on my cuticles, and it has definitely kept my cuticles and nails moisturized in spite of my swatch fests. I'm also the crazy person that keeps sniffing my fingers afterwards because this oil smells so delicious! The cap secures tightly, and I can toss this in my bag when I am on the go. The brush applicator gives me a lot of control over where the oil goes, and I definitely love that! These oils will be released August 17th (that's tomorrow!) at 12pm EST along with the new Cosmologically Speaking Collection. The Diversion Oils will retail for $6.50 for 5mL. The 2mL cuticle pen shown above will retail for $4.50. 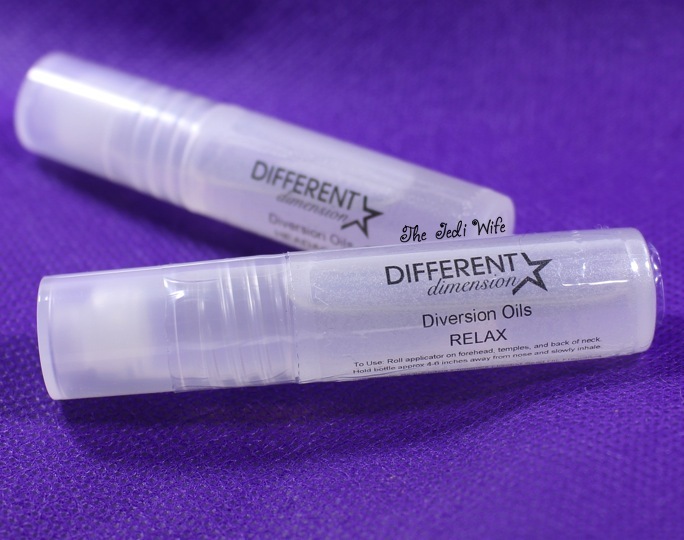 DIFFERENT dimension will also be offering the cuticle oil in a 15mL glass or plastic dropper bottle for $6.50. I love the portability of the pen, but I know I need a large bottle! If you aren't already, be use to follow DIFFERENT dimension on Facebook here and Instagram here. I definitely recommend checking out Missi's IG page as she is currently running a fabulous giveaway that ends Monday! What are you planning on getting during tomorrow's launch? Will you be trying one of the new oils? So the headache pens really work? I'd be interested to try it. I get migraines frequently. Lately nothing has been kicking them. I've had this current one since Tuesday. Will try anything at this point! I don't get migraines, but they have been helping with my tension headaches. Hopefully they work for you! The couple migraines I've had a couple years ago were terrible, and I couldn't imagine getting them frequently!